I have always heard that Nigeria’s borders are porous, I never quite grasped the magnitude of the “porousness” until I received these pictures below of the Nigeria-Niger border at Birnin Kuka. I kept thinking afterwards, of a word synonymous with, yet which would signify an extreme form of “porousness”, combined with the words “Useless” “farce” “joke” and “ridiculous” to capture this incredible scene, but I couldn’t quite come up with any. Just in case you still aren’t sure whether you saw the word “border” or not, or you think this is some rather early April Fool’s prank or that perhaps your eyes are playing tricks on you, its none of those things. 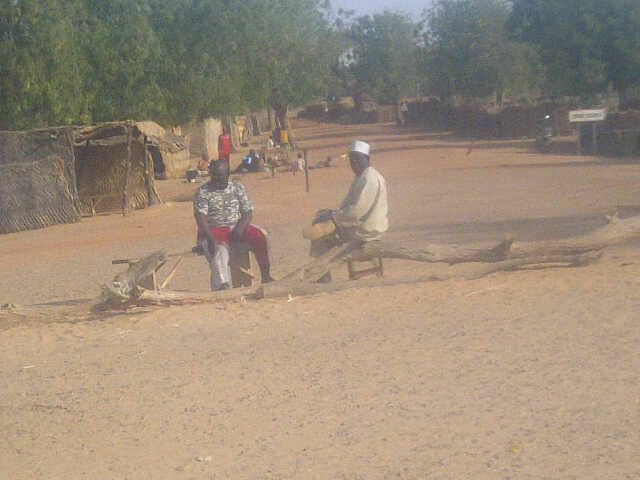 This is actually Nigeria’s border with Niger Republic, at a small border town called Birnin Kuka in the North-Western state of Katsina. The person on the left wearing red and white trousers is an officer of the Nigeria Customs Service (NCS) while the one on the right is a “Camp boy”, a term describing locals of any border post or out station recruited by officers of NCS. And what you’re thinking at this moment is right on point: the tree logs in the pictures literally demarcate Nigeria from Niger Republic; crossing the logs means you’ve crossed over to the other country! These pictures were sent by a source at the NCS and are very much authentic. The source confirmed that apparently, with as little as N100 (less than $1), anyone can conveniently and comfortably cross the border to the other side. So if like me, you’ve been wondering how the North African affiliate of Al-Qaeda, the “Al-Qaeda in the land beyond the Sahel” (AQIM) wormed its way into Nigeria especially in light of the recent abduction and murder of the British and Italian hostages and the recent capture of a German hostage in Kano, then this is your answer right here. A large white mammoth from the prehistoric era could traverse this boundary without anyone raising an eye brow. So, for a highly sophisticated and secretive terrorist organization like Al-Qaeda, it would literally be a walk in the park, or in this case, a stroll in the desert! Let me state categorically that not all of Nigeria’s border towns or entry points are this disorganized, poorly managed, poorly manned, insecure, and a throw-back to the medieval era. For instance the more well-known entry and exit points like the Seme border in Lagos, the Jibiya border station in the same Katsina state and a number of others are far more organized and relatively more secure than the Birnin-Kuka border in terms of having a proper border station, guards, sentries and immigration/customs/border officials and all the works. 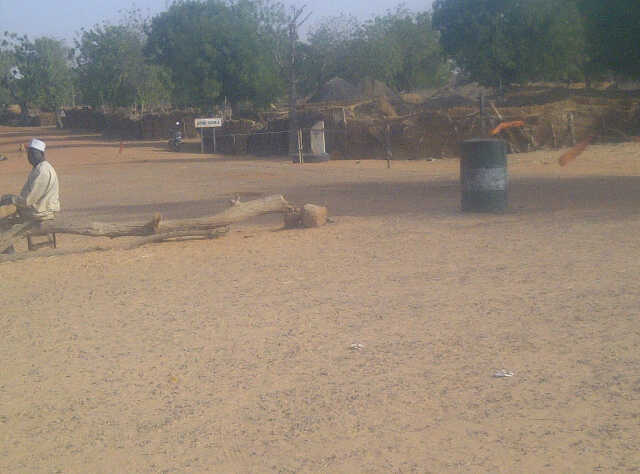 However, many of the less-known boundaries are like the Birnin-Kuka border post: poorly manned or in some cases just wide open, probably due to the lack of sufficient and trained officers, paucity of funds (But the government earmarked N922 billion or $6 billion for security in this year’s budget!) and just nonchalance and lack of foresight on the part of the authorities, that is the Nigeria Customs and Immigration Services respectively. My source confirmed that even the relatively more organized border posts like the Jibiya station below “are OPEN” but in this case not to everyday individuals who can pay N100 but especially to “big men” and “smugglers”. The source made particular reference to a renown, wealthy and influential smuggler whose trade is now flourishing more than ever as scores of his trucks laden with smuggled goods pass through weekly without being inspected. The source further confirmed that “Big Men are dreaded by officer(s)” who “earn little” and as for the renown smugglers, if an officer insists on searching their trucks, you “search and you risk getting sacked”. The perviousness and porousness of Nigeria’s borders are an addition to the litany of shortcomings the Nigerian state is facing towards addressing security challenges. Already there’s the incapacity and mediocrity of the police and security agencies, dearth of intelligence gathering, politicization of insecurity by politicians, pervasive corruption and mismanagement of funds, widespread public paranoia and now to crown all these are our very porous borders. These depressing facts further reveal the government’s weak position in combating the growing terrorist insurgency in Nigeria. For that, I’ve let my imagination become very active envisioning (nay hoping) a scenario unfolds where the various terrorist groups — the main Boko Haram, its various factions and AQIM — clash over turf and territory, and such turf war becomes very bloody where they mutually annihilate each other. This is a bit of a stretch I know, but you know how the saying goes: desperate times…!! Noo zainab ! Will reply u wen I com outta shock ! OmG. Akwai matsala! Very sad,even our seaports are porous.God help us. Nigeria ko? Only divinely supported with no human effort, which is the best anyway. But I detaste that day that the Divine will give us a chance to think and act on our own. This is just a huge joke! The impression you create our borders suddenly became porous under Jonathan. Our borders have been porous for a very long time – even under Abacha. This is the surest sign of state failure and the process that began under Babangida is merely being accelerated. Nigeria is failing and no one wants to be identified with a failure. Maduka, I don’t know where you got the idea that I am implying “our borders suddenly became porous under Jonathan” but it is very inaccurate! I did not imply that in the least bit. Throughout the article, the only area where I made a link to Jonathan’s administration is where I said “the government earmarked N922 billion or $6 billion for security in this year’s budget”. As a matter of fact, if you can read in-between the lines, it is a subtle recommendation for where this security budget could be channelled into (not that an obscure blogger’s opinion would make any difference): towards properly securing and fortifying our borders given the prevailing security situation, more dire than at any other time in the nation’s history. I usually respect your views even though I don’t agree with them 90% of the time. But please don’t fall into the category of “those” people who reduce every critical analysis on any aspect of our national life into an attack on Jonathan. Then why didn’t you include the historical context? That will help us understand how we got to this point. Obasanjo was there for eight years and he did nothing about it. Yar’adua did nothing about it in his three years in power. IBB and Abacha spent a whopping thirteen years in power and did nothing about it also. Buhari didn’t touch it also when he was in power. I will also suggest that this border post hasn’t been touched since independence. It is one thing to relentlessly attack the present administration as being weak on terrorism. It is another thing to realise that it is the administration in power, and is likely to be until 2015. We have to strike a balance between relentless attack and constructive criticism. I am rolling on the floor with laughter. No, really, I can’t believe it. The pieces of log, the Camp Boy, the so-called officer of the Nigeria Customs Service!!!! It’s true it gets real hot, so I can understand the negligency, but they are supposed to be Border Control staff, not some quaint village scene of 2 village friends watching time pass. Laughter cures all. Thank you Zainab for your enlightening, thought provoking Musings. I have just one suggestion Zee, that you remove the comment section. There are too many trolls with internet access. Zainab…. Its really a great concern! But the question is; ‘where you their when they tie the Lion that you are trying to wonder how to loose?’ I was raised in Katsina from being indegene of thesame old Kaduna state before it was saperated. My Dad letter came back to Katsina as a senior police officer with all these bordered local government under his command as OC Mounted Troop Police. He was not a currupt policeman but he could not stop smuggling due to the people involved. Mind you, the pouroseness of Nigeria and Niger was instituted long ago befor even independance by the so call Nothern elders who most have relations still leaving in Niger knowingfully that with time they will need an easy access to Nigeria too. Almost 95% of Core Northern Hausa are from Niger. That was why a law was instituted in the north that anyone that stayed in the hausa northern region can claim indegenship. Well since its a concern now, let start by ourself, are we ready to close the borders? Are we ok with the northern population? Can we chase some out of the NORTH? @ Maduka, your bias is showing. I am from the SOuth and have read no criticism toward GEJ in the article but since you bring it up… can I ask you (since it seems you have privy to history and the present day situation) what is GEJ doing about the border situation? 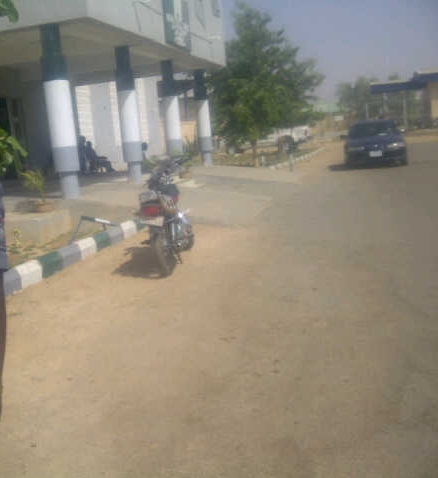 @Zainab, my sister the Seme border is not any better, the structure may look intimidating and I guess one can say it is relatively secure but one can take a bike and cross the border vis side well beaten paths that have been created for exactly such purposes! Al quaeda can easily find their way in to nigeria with this poorly manage boarder. what is gov’t doing about this mess. Africa shouldn’t have a borders, borders are a White mans made. You want to control your border? You’ll have to ask and pay a White man to give you the equipments. It’s not free. When you have epidemic corruption in a country, nothing works. Nigerians are cowards, they have no belly for a fight for a good government. So, all the monies stolen by the people in power are returned to the White man’s country. Sad case!